In celebration of the 2016 HMS & Plastics Remembrance Day, and with the classic S-Series mainline Blades getting re-releases in Burst form, we invite you to re-design one of your other favorite HMS or Plastic Beyblades as a member of the Burst System! For photo references, the HMS and Plastics Beyblade articles on Beywiki are excellent resources! And yes, you read that right, winners. The top three entries will win a Face Booster! But to make this even more exciting, the top winner will also get the S-Series Beyblade Burst of their choice! 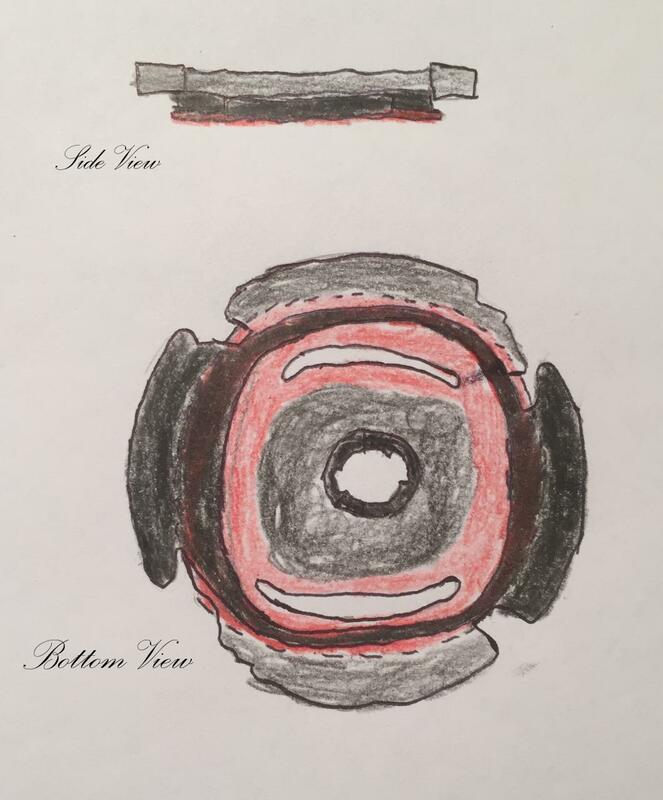 No redesigning S-Series Beyblades that have already been slated for a release, including Dragoon S.
You have until 11:59:59 PM EST Sunday, July 31st, 2016 to submit your design. Any entries after that will be disqualified! Awesome, I'm totally going to start on this as soon as i get back to CA! Thanks to the Committee and can't wait to see all these awesome revamps. Remember model850's wonderful Beyblade Burst Design Template. Oooooh, I want to participate but I dunno. I do love drawing but I'll see as I dunno if I can make a design more amazing looking than any Plastics or HMS. I bet people will do a take on the Wolborg series considering BC2 from Wolborg 2 is one of the most beloved parts in the Plastics era and because people love bearings too and to those people, I say good luck. (Jul. 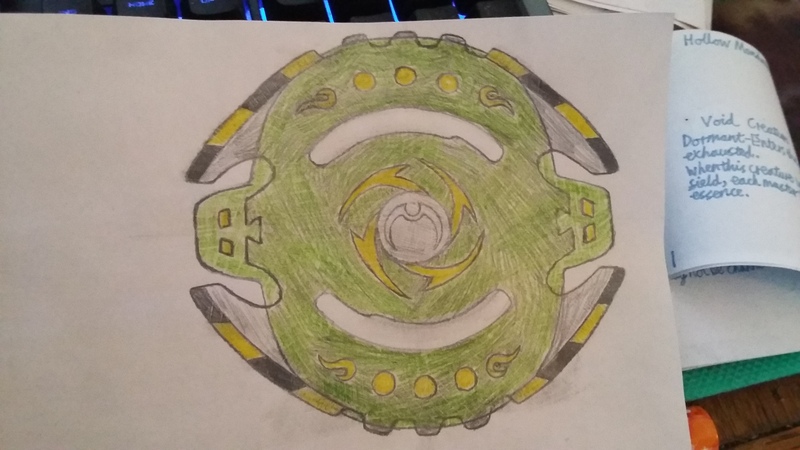 09, 2016 10:56 PM)earthwolf1404 Wrote: Remember @[model850]'s wonderful Beyblade Burst Design Template. I gotta use this template? (Jul. 10, 2016 6:31 AM)Brisk AquarioHD Wrote: Haha, definitely participating! I guess you don't have to, but it might help you. I originally made the template as a "tool" to make design process easier and give designer sence of the parts relative sizes. All the bold lines otline parts of the beblade that are consistent trought and don't change. Everything else depends upon the designers idea. I've had something in the works for a while that'll make for a really interesting entry, though it's pushing the contest rules to their limits. (Jul. 10, 2016 11:39 AM)Dracomageat Wrote: I've had something in the works for a while that'll make for a really interesting entry, though it's pushing the contest rules to their limits. I can like that hah. Ah, man. I have very little knowledge about the original plastics compared to mfb and especially burst. Hello i wanna know that can i design any bey except s series? And suppose i design engine gear series or magnacore bey... so can i put engine gear system or magnacore system in it ...or only burst mechanism would be eligible? As long as it works as a burst bey and isn't one of the 4 main S series beys, any plastic or HMS bey will do and you're welcome to magnetize the driver should you want. Tamara Tomy made the S series beys layer as they were. So can we just make new disk and driver and paste the image of the AR ??? (Jul. 24, 2016 8:00 AM)vikrambeyblade Wrote: Tamara Tomy made the S series beys layer as they were. So can we just make new disk and driver and paste the image of the AR ??? 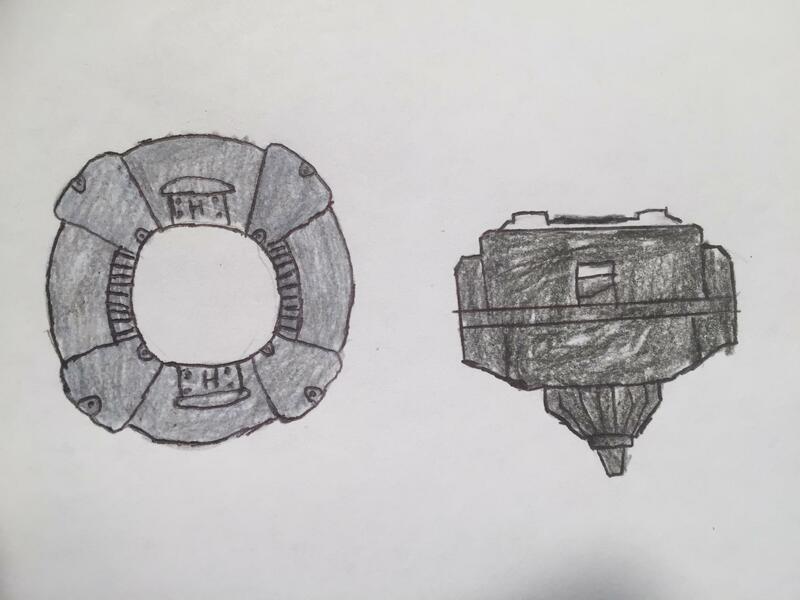 Considering this is a design contest, simpy postng an image of the original Beyblade's AR without having modified its design to work as a Burst Layer would not be acceptable. Telling us to just imagine an entry defeats the purpose of the designing aspect of a design contest, lol. Furthermore, if you take a closer look, you'll notice Takara Tomy actually did make some modifications to their S-Series Burst redesigns from their original counterparts, such as in the Layers' overall roundedness, their bitchips, and other minor details in the Layer and stickers. Wait, a Dual Layer? Chaos? Wasn't this supposed to be a plastic and HMS redesign contest? 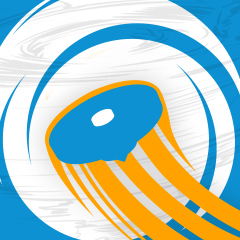 Cyclone Chaos is a long thought out combination of the unique design elements of Burst's Chaos Layer and Kelloggs' plastic compatible Cyclo Chaos AR. For the most part, this is seen in how the round shape of Chaos forms the smoke-coloured clear plastic piece while the green inside takes on Cyclo's general build. The parts that emerge, however, form protrusions similar to Cyclo's spiked segments, while its larger, nobbley edges can be seen in how the Chaos like clear plastic cuts away in small bits all across its otherwise smooth wings. And yet the once-spiked protrusions formed of the green plastic have become a part of the Chaos design elements too, using stickers and the edges of the clear grey plastic to become similar 2-eyed heads to those seen on the pre-Dual Layer incarnation. Speaking of stickers, Cyclone Chaos has traded its biohazard design for a viscious looking ring of blades around its Driver-viewing centerpiece, in order to emphasize its new cyclonic theme. To make up for this, however, it has taken up black and yellow striped hazard markings along its wings. Finally, what were once a searies of bumps on Cyclo Chaos, corresponding with its cog-tooth-esque nobbley bits, are now a series of circular yellow stickers ending in the more ornate, almost questionmark-like squiggles found on the original Chaos. And, of course, the viewing window is maked with the C from the white re-release. In terms of combat, Cyclone Chaos has neither the attack potential of Cyclo Chaos due to the roundness Chaos brings, nor the stamina potential of Chaos due to the wonky weight distibution of Cyclo Chaos. What it does have, however, is a good overall weight and roundness for conventional defense, as well as a very ridged, grippy exterior that provides excellent burst attack potential. It is a bizzare, new age hybrid of attack and defense, meaning its home in the Burst meta would be quite interesting to see, IMO. A simple Disk with a knucle duster design, evident in its hexagonal protrusions from an otherwise circular surface. The idea of this Disk is clearly burst attack but its width and the fixed hieght of the series make this a nigh impossible goal to achieve. So instead it just looks brutal, with little gameplay benefit. But still, Knuckle's aesthetic and intended purpose both fit perfectly with Cyclone Chaos' Layer design, to such extent that it hardly seemed logical to invent something new. 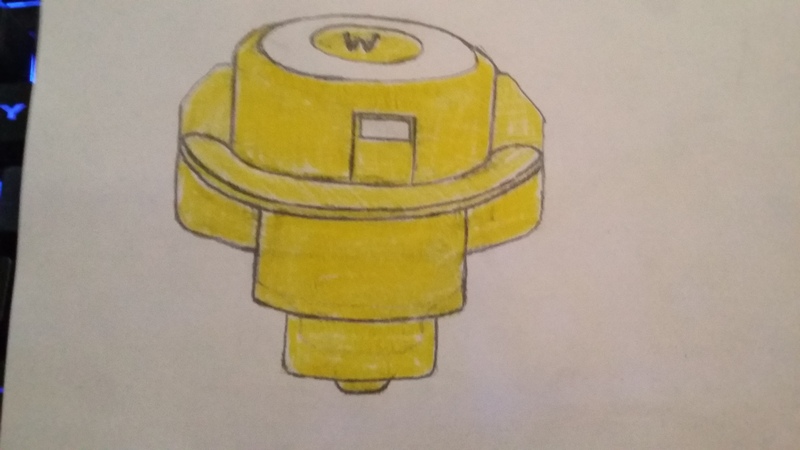 The Wave Driver, coloured yellow so as to match Cyclone Chaos' stickers, is a fairly simple concept but still borrows from Cyclo Chaos' original release. You see, Cyclo Chaos was never a full beyblade. 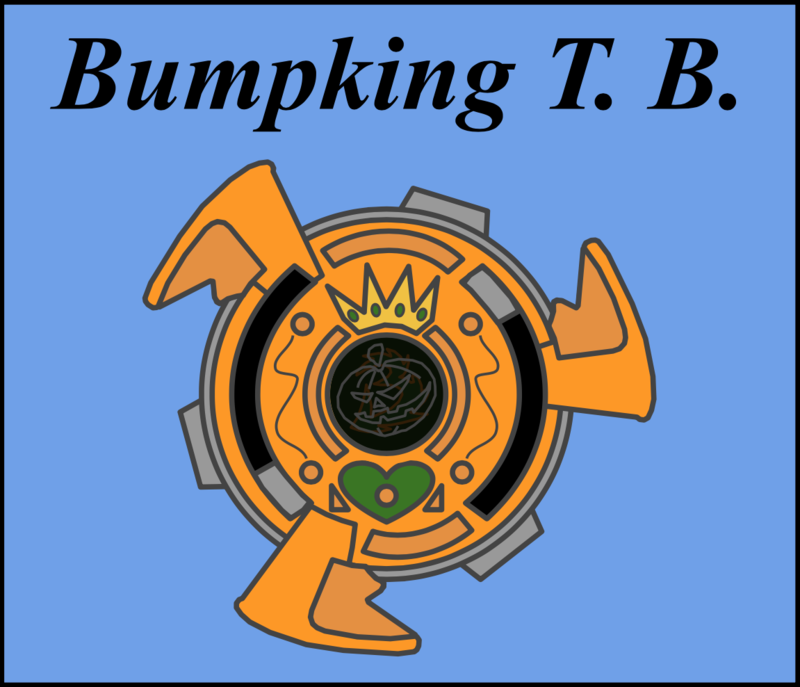 Instead, it was an Attack Ring provided on a dark green plastic "battle spinner", little more than a tip with a spindle for hand spinning it. 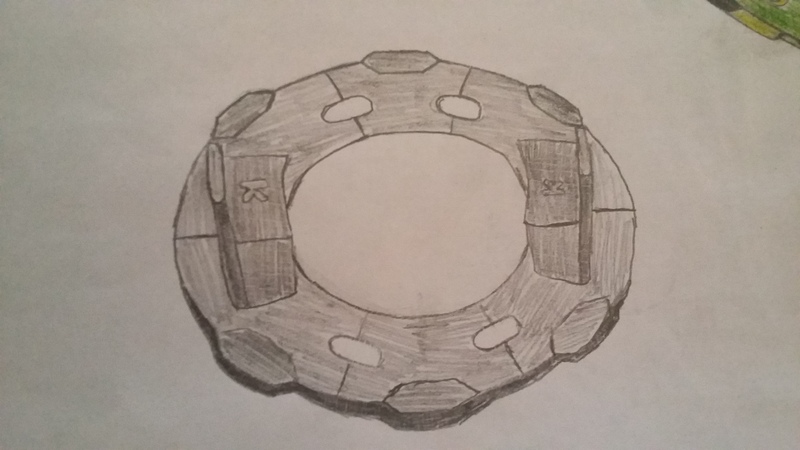 The piece was wide, almost as much so as the Attack Ring itself, but featured a smaller attack type tip with rounded edges on which it would actually spin. Wave borrows from this by making its tip the same width as that of Accel but rounding its edges for slightly less aggressive movement, making it rather more usable for active defense and burst attack but less so for regular attack. It also factors in the width of the battle spinner though, providing a wide, circular section around the tip that will scrape the moment it goes off balance due to how short the actual tip is. This provides an authentic recreation of the battle spinner mechanics but also fits into burst quite interestingly, causing defense by swerving out the way of hits rather than immovability and hopefully allowing balance to be restored relatively fast, albeit with a loss of stamina in the process. This Driver is named for its multiple levels, as also seen in the W²D tip in MFB. I'm going to enter and i know what bey i'm going to redesign. hope i win!!! Gotcha. I'll use your template as inspiration instead. Amazing template btw! Totally participating, Already got what I want in mind, and hopefully it's enough for the top seat cause My wallet cannot afford another burst bey, let alone a S series burst once it comes out, plus It's a nice start to doing something for the communities enjoyment ? (Jul. 28, 2016 11:44 PM)Brisk AquarioHD Wrote: Gotcha. I'll use your template as inspiration instead. Amazing template btw! I'm working on my "design" for several days now. All the little details are killing me, but hopefully I will manage to finish all the parts in time. 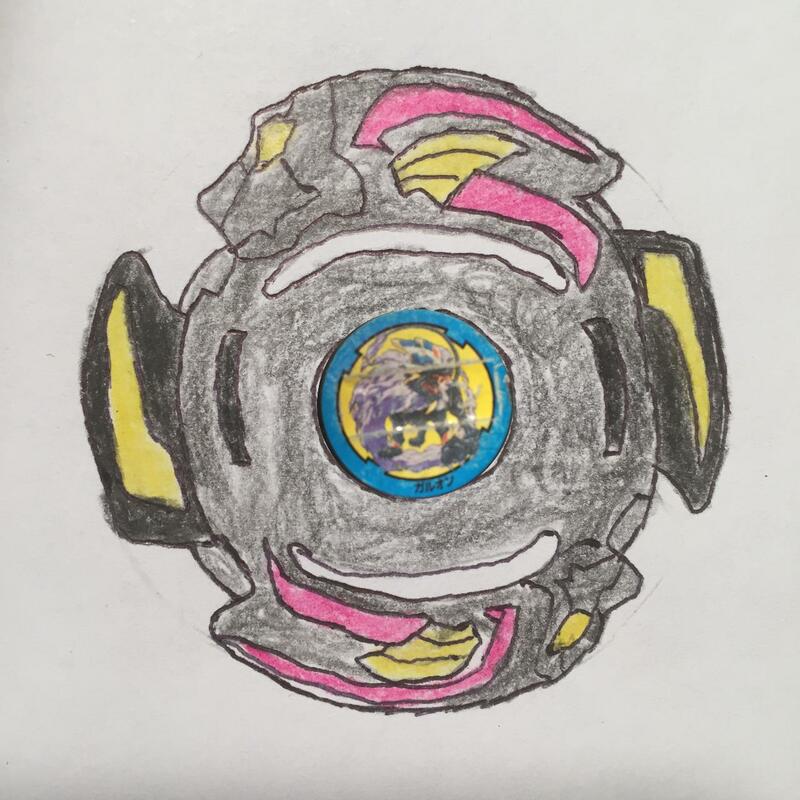 So after giving this contest some thought on which Beyblade I would choose, I decided to redesign my favorite Plastic Beyblade: Galeon. 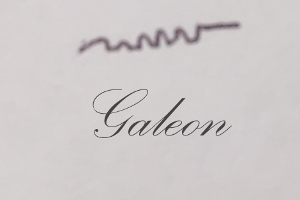 Lack of artistic skill aside, Galeon's Layer design has been slightly altered. The primary contact points on both the AR and S-AR have been rounded to reduce any potential breakage issues that would occur. Given how thin the two parts of the Layer would be in comparison to existing Layers I thought this was a necessary change. The biggest change from the original design, however, was how I chose to implement the free-spinning subring: instead of making it two pieces like the original War Lion, the S-AR is now held onto the main AR by an additional frame on the bottom of the Layer (colored red in these drawings to distinguish it from the rest of the Layer, on the real Beyblade it would be the same color black Plastic). The subring still spins freely in between the main AR and bottom frame however. Disks come in many different shapes and sizes and do not always fit the Layer as snugly as Weight Disks did to Attack Rings, so with a Disk (Armed or Central for example) that does not "hold up" the S-AR against the main Layer the S-AR would become loose and fall down around the Disk. This fix makes sure the S-AR stays in the correct vertical plane, although it prevents you from swapping S-ARs between Beyblades. As the Layer is fairly round and non-aggressive, I decided to give Galeon the same teeth as Rising Ragnaruk and Kaiser Kerbeus: three normal sized teeth followed by a small tooth. With Galeon's subring deflecting some of force from collisions and its toned down contact points, giving it Xcalibur or Valkyrie teeth would have made it too difficult to Burst, while smaller teeth probably would have made it too easy to Burst regardless of shape. The Disk and Driver are Heavy and Blow, which are pretty self explanatory as they are more or less what "8 Heavy" and "SG Semi Flat" translate to in Burst. Since the other S Series Drivers seem to be the same solid color plastic as the Layers (at least for Driger and Draciel, Dranzer's Trans is still that same translucent neon orange as N2's if memory serves correctly), this Blow would also be solid black to match the Galeon Layer. Layer is designed for upper attack + smash attack. It has small slopes at contact points. The ends on each contact points are rounded. Disk is designed balanced type. It is small holes and the back side is filled. Driver has a rubber flat bottom with a metal sharp tip at center. It is retractable. If you cannot see the picture use the link.